On 23. 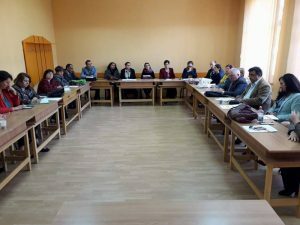 September 2017, the Romanian conference was organized in Resita, University Eftimie Murgu. 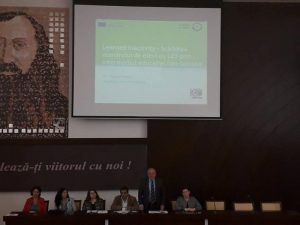 The event was similar to the Hungarian one: after a presentation of the project and its results, the research phase and its results were presented by Dr. Ileana Rotaru. On the one-day-event there were speakers from the education field who are related to the main topic of the project, the early school leaving, e.g. Dr. Mirela Minică and Dr. Alina Constantin). In the aftenoon the conference was finished after the workshops. HERE you can read the agenda of the conference (in Romanian).